The Beverley will incorporate visual arts, live theater and dynamic arts education on the Southern Utah University campus in Cedar City, Utah, and will enrich the cultural life of the entire region. 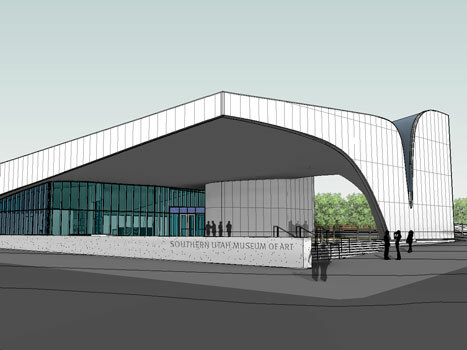 It will serve as the home of the Southern Utah Museum of Art and the Utah Shakespeare Festival, attracting thousands of visitors year-round and creating a vibrant arts mecca in the heart of southern Utah. At a cost of $38 million, The Beverley is the largest and most comprehensive construction project that SUU has ever undertaken. With its much-anticipated opening this summer, The Beverley will dramatically shape the landscape in myriad fashion. Even the buildings within The Beverley have become works of art. Inspired by the natural beauty of the region, SUMA is said to be a permanent sculpture that houses an art museum. Honoring Beverley’s commitment to arts education, the center is dedicated to a lasting purpose and will be a place to create, explore, imagine, and discover the true meaning of art and its impact on humanity. Beverley Taylor Sorenson, who passed away in 2013, devoted her life to enhance the level and breadth of education in Utah and believed that every child deserved access to school-based arts programs. In 1995, Beverley had a first-hand experience at a Salt Lake elementary school where she witnessed the dramatic impact an arts program made on the troubled school. This experience reinforced her belief that the arts significantly influence a student’s critical thinking skills, increasing his or her ability to learn complex matters. Over the years, Beverley has become renowned for her contributions to building a strong cultural foundation for children through such programs as Art Works for Kids! and ArtsFusion, and now through SUU’s multi-million dollar arts center. Beverley was a dream maker who believed in the power and impact art has on people’s lives. Her passion and legacy will leave an indelible mark that will be felt throughout the Center grounds and beyond. The complex is a living memorial to her. SUU highly celebrates Beverley’s selflessness and her dedication of her energies, her time, her talents and her resources to ensure a future of arts immersion for people of all ages. The structures that house both the performing and visual arts were built to endure and last many lifetimes. 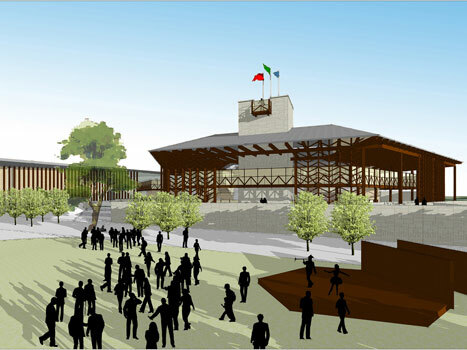 With a solid foundation of layered concrete and reinforced steel, the buildings will see many generations of art enthusiasts, both young and old, transformed by the power and timelessness the arts have on our lives. Beverley provided a communal gathering place that will stand the test of time. The Sorenson Legacy Foundation provided the major gift of $6 million for the Beverley Taylor Sorenson Center for the Arts. Other major gifts were given from the Engelstad Family Foundation, George S. and Dolores Doré Eccles Foundation, Rocki Alice, the Ashton Family Foundation, Garth and Jerri Frehner, the Simmons Family Foundation, O.C. Tanner Company, Austin and Magda Jones, the estate of Jim Jones, the State of Utah, Iron County, and Cedar City Corporation.